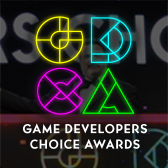 Gaming-oriented television network G4 will exclusively broadcast the 9th Annual Game Developers Choice Awards on U.S. television, G4 and conference organizer Think Services announced today. The awards take place Wednesday, March 25 during Game Developers Conference 2009 in San Francisco. 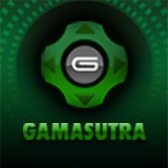 G4's program X-Play, featuring host Adam Sessler -- billed as "the most watched video game series on television" -- will air the proceedings on Friday, April 10 at 6:30 PM. As recently revealed by Think Services, this year Double Fine Productions founder and veteran game designer Tim Schafer (Grim Fandango, Psychonauts) will once again preside over the evening. Schafer previously hosted the 2007 Choice Awards. The evening of GDC-related awards are starting at 6.30pm next Wednesday, and all GDC 2009 attendees are welcome to attend. 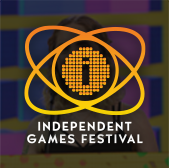 The festivities will kick off with the 2009 Independent Games Festival Awards, not to be shown on G4, but also taking place during the event. Additionally, from March 25 to March 27, X-Play will feature nightly reporting on Game Developers Conference itself, with "around-the-clock" coverage on the network's online wing, G4TV.com.